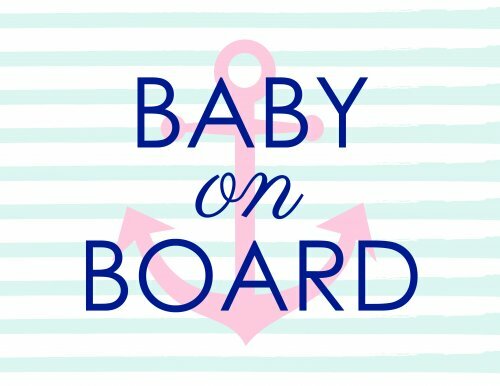 Looking for a fresh yet classic baby shower theme? Well, looks like you’ve found it in the form of a DIY nautical adventure! We love this theme because it works well for a boy, girl, or gender neutral shower. With these 10 DIY projects, throwing a gorgeous nautical baby shower is easy, affordable, and fun. Anchors away! This DIY project is as easy and turning on your computer! 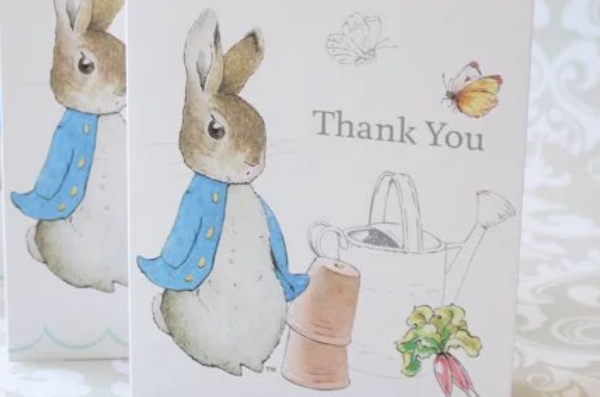 Simply click on the above image, print, and frame for a wonderful way to welcome baby shower guests to the party. 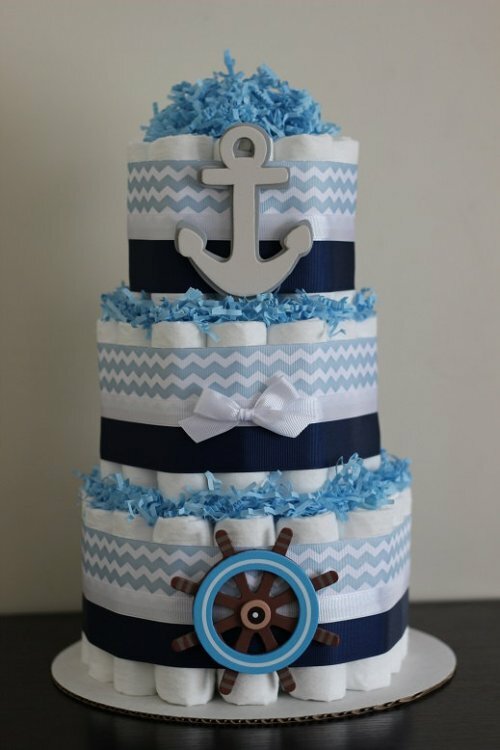 Functional, fashionable, and extremely on-theme for a nautical inspired baby shower. 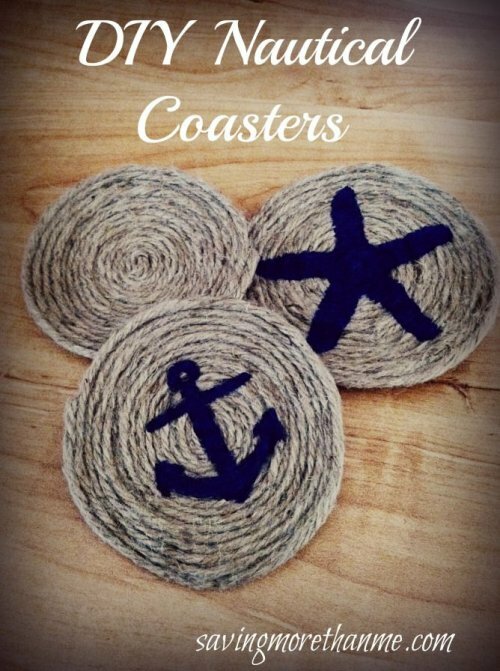 Bring back a bit of grade-school nostalgia with this nautical arts and craft project. Drape along entryways and windows for a pretty effect. 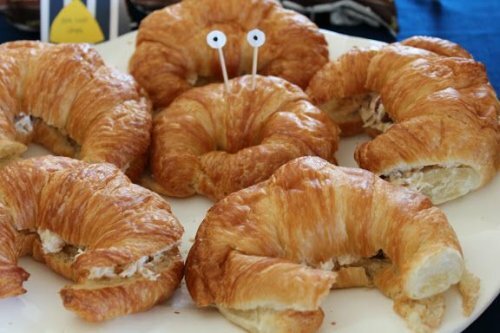 Just add a pair of toothpick googly eyes to a croissant sandwich for an instantly on-theme food item. 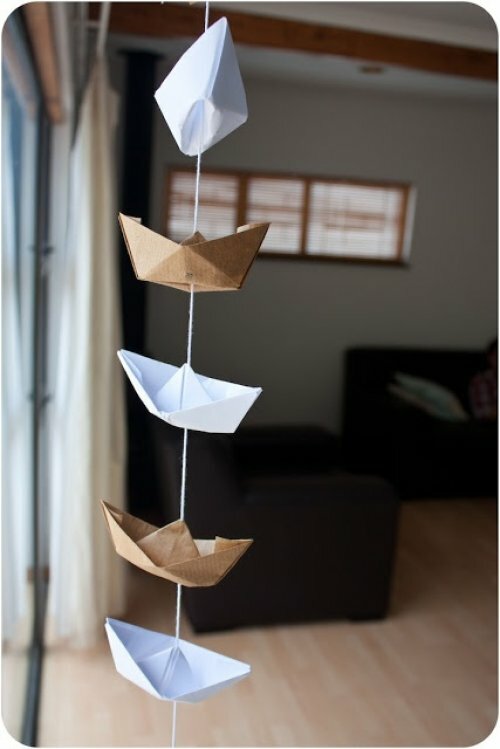 With minimal supplies and effort, easily create a beautiful nautical centerpiece to draw guests’ attention. 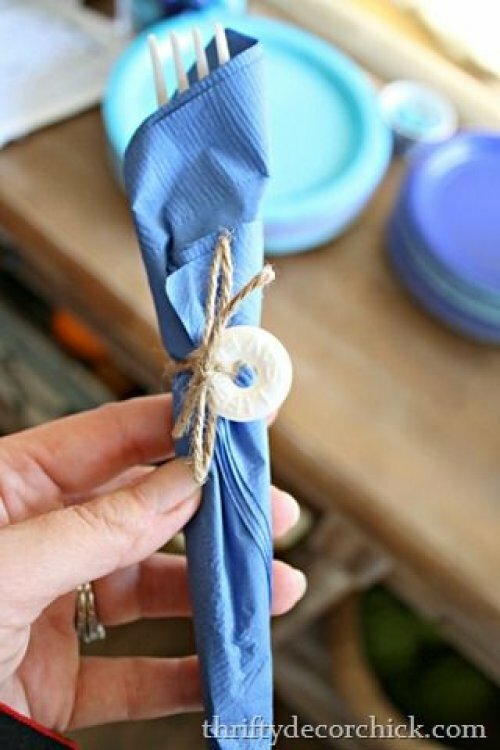 This nautical silverware wrap is easy to assemble and perfectly on-theme. You can find personalized life savers for your shower at Beau-coup! Let this finished diaper cake inspire you to create your own DIY version for the shower. 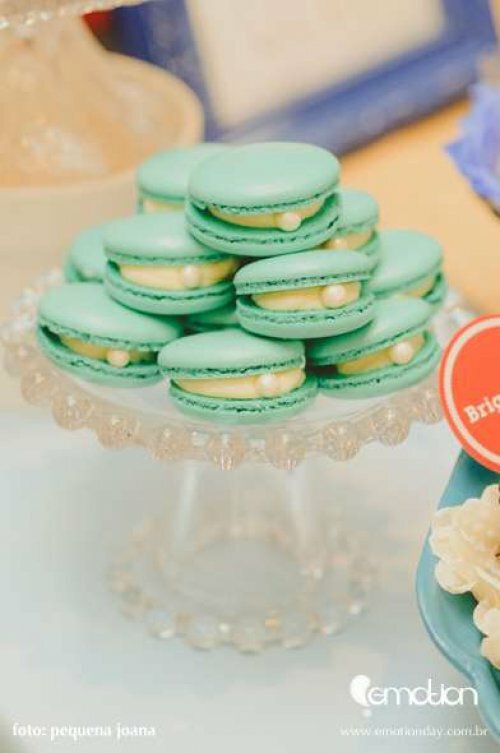 By adding an edible pearl to a macaron, you can instantly create a cute edible oyster! 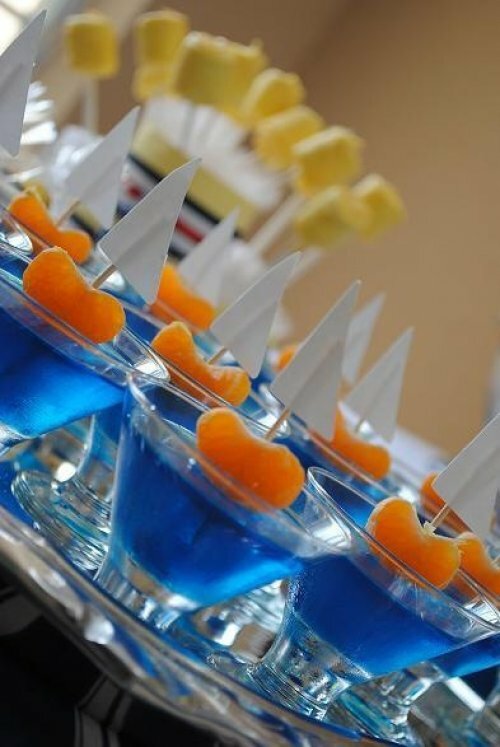 Let your shower guests sail away with these uber-adorable blue Jell-O sailboats. 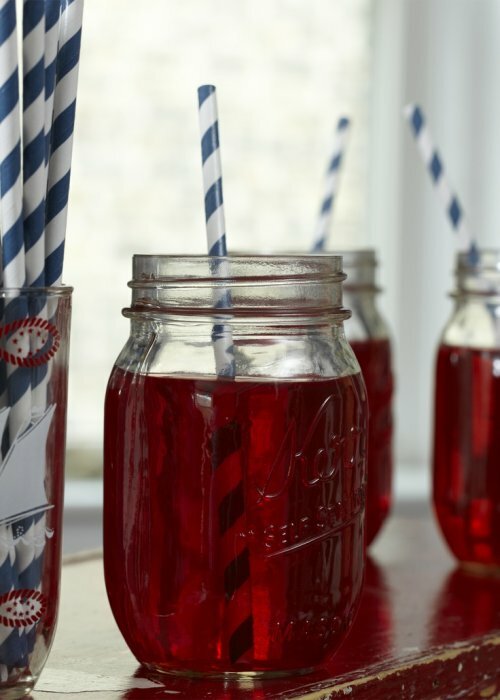 Whatever beverage you decide to serve, just do it in nautical style by serving them up in mason jars and a decorative straw.